Psychotherapy and counselling can help. I am a qualified and experienced BACP accredited and UKCP registered Psychotherapist and Counsellor offering Therapy and Counselling from my private practice in Walthamstow, London E17. 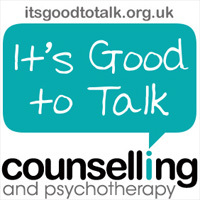 Psychotherapy and Counselling offer something valuable. It is much needed support during difficult times, such as a ‘breakdown’ or in a life crisis, and can also be the opportunity to know and understand ourselves better, develop self-esteem, discover our untapped potential and make new choices in our lives. Working as a psychotherapist in London, I am committed to providing a supportive and effective therapy service through my professional Counselling and Psychotherapy practice. Depression, anxiety, stress, bereavement, relationship difficulties, work issues, identity problems, low self esteem and loss of purpose – all of these issues, and others, can be helped by counselling and psychotherapy. Psychosynthesis Psychotherapy is an integrative, humanistic and holistic approach to counselling and psychotherapy, seeing people as more than their symptoms or problems. As a Psychosynthesis therapist, I work alongside clients, guiding them through their pain and difficulty towards a place of healing. This can be a very meaningful and transformative process. Please explore my site to find out more about what psychotherapy and counselling can do for you and how it may help you.